Amazon Kindle, $9.99, and CreateSpace paperback, $25.99; Barnes & Noble Nook, $9.99. 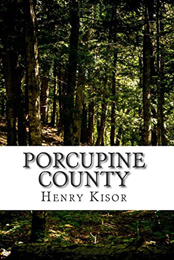 Porcupine County gathers together in an omnibus edition the first three novels in the much-praised Steve Martinez series set in the wilderness of Upper Michigan. The first is about murder by bear, the second about homicide and drugs deep in an underground copper mine, and the third concerns a grisly—and deadly—game played with human bodies. “He really hooks us with his whimsy-free descriptions of life—from wedding dances and town-hall debates to the dead-end future seen in the eyes of a high-school dropout—in this beautiful but economically depressed region,” wrote Marilyn Stasio about Season’s Revenge in her New York Times Book Review mystery column. “Steve Martinez is an intriguingly flawed protagonist, and the claustrophobic, everybody-knows-all-my-secrets paranoia of rural, small-town life is unerringly portrayed,” Wes Lukowsky said of A Venture into Murder in Booklist.